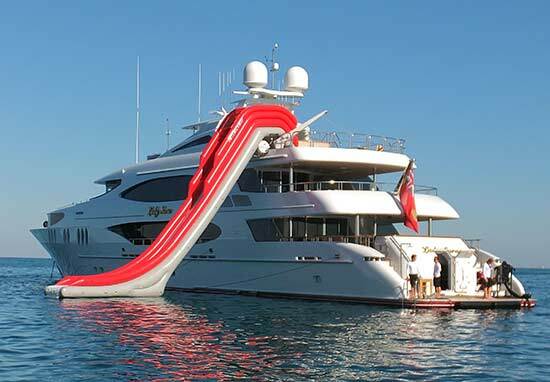 Brownie's YachtDiver is pleased to announce that water slides up to 12 meters no longer require a support leg. 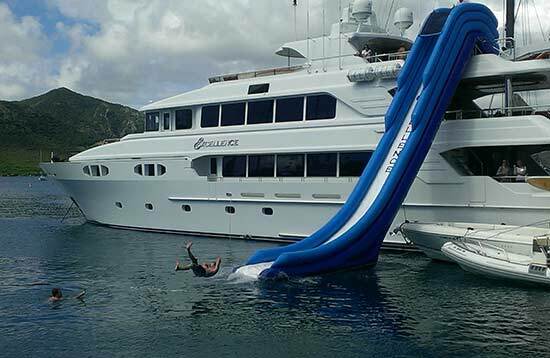 These custom sized water slides with logos and custom colors to match a yacht are 20% less weight for easier handling and less storage space needed, too. Go to the Water Slides Page for more information and to order a custom water slide for your yacht today!